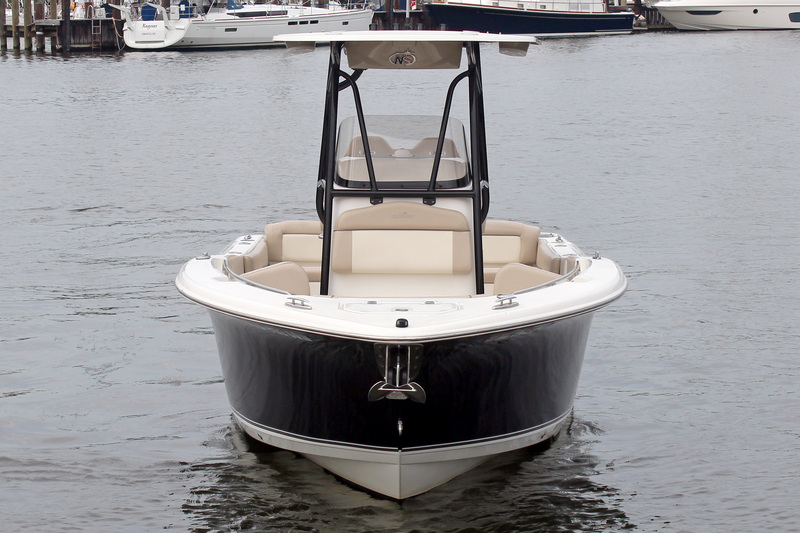 Head out to the deep waters in style and comfort in the 2602 Legacy. 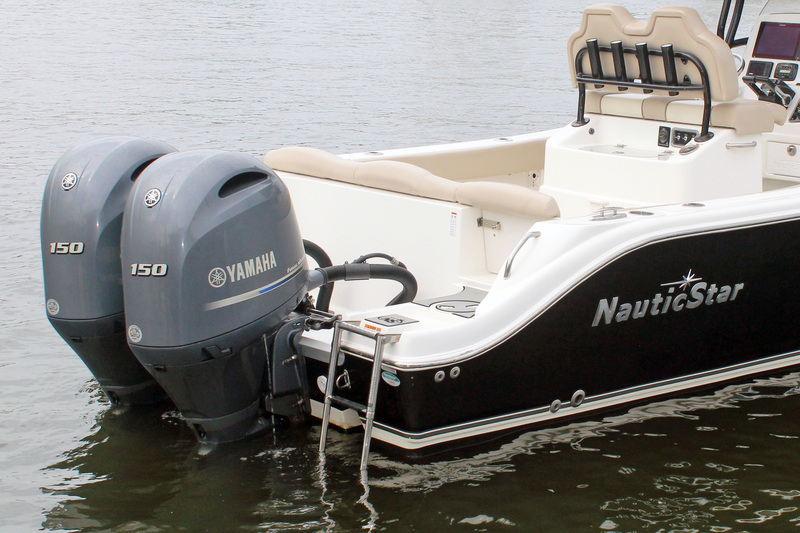 This beauty is loaded with standard features that exceed expectations for quality, performance, and versatility. 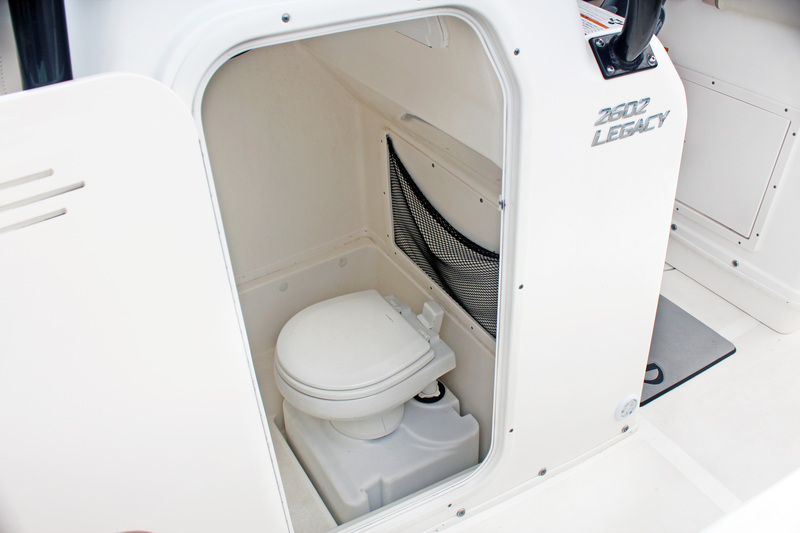 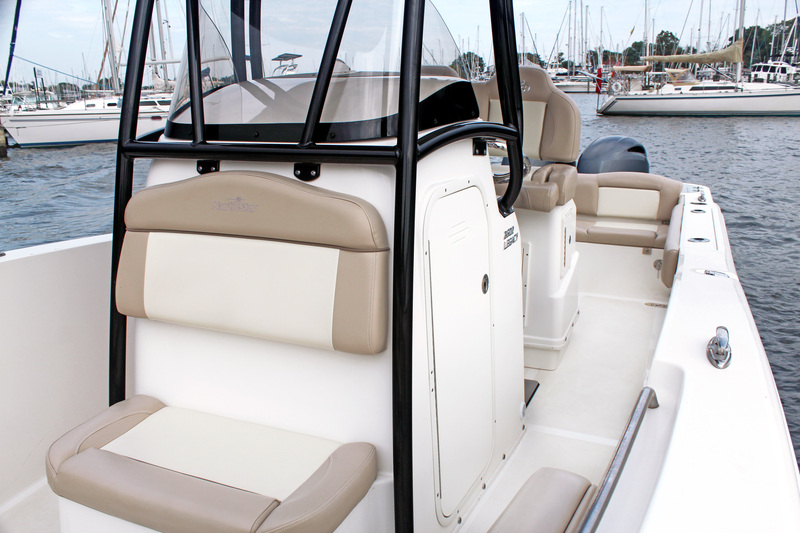 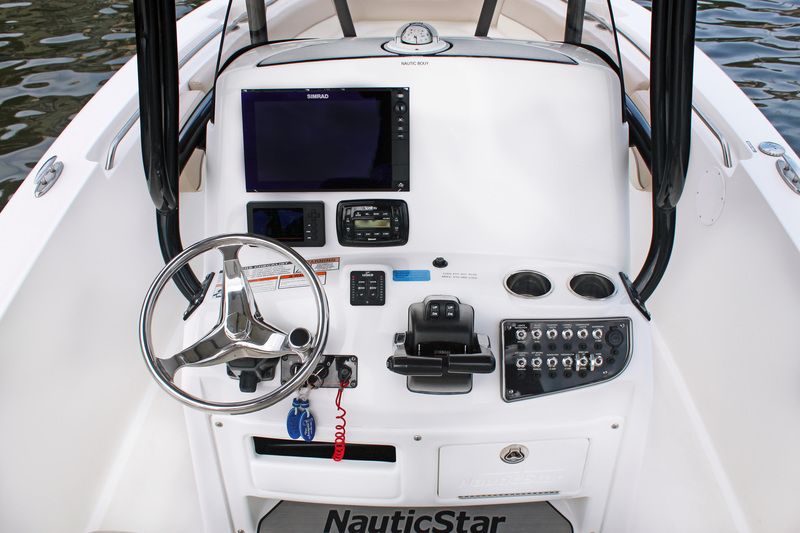 Its roomy cockpit features plush seating with flip-out backrest in the bow with 3-across aft seating that conceals the 18 gallon cooler and oversized insulated–50 gallon fish box. 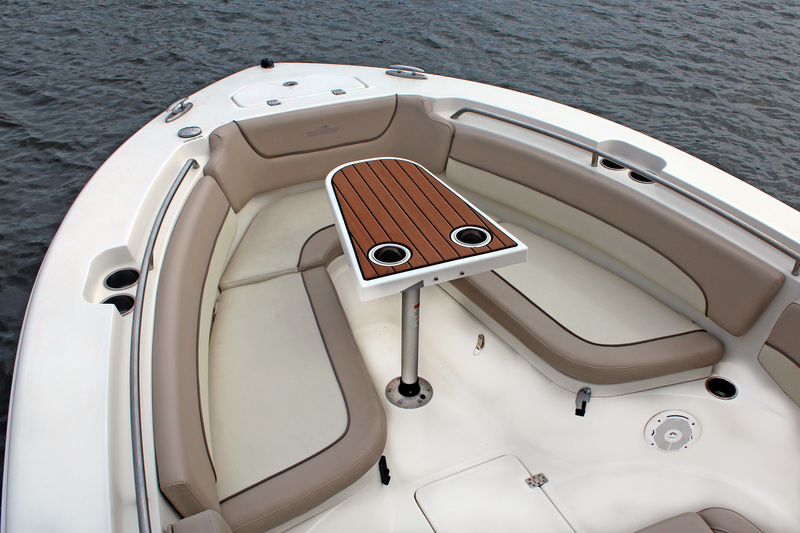 The large head is fiberglass lined with a sink, mirror, and SeaDek® flooring. 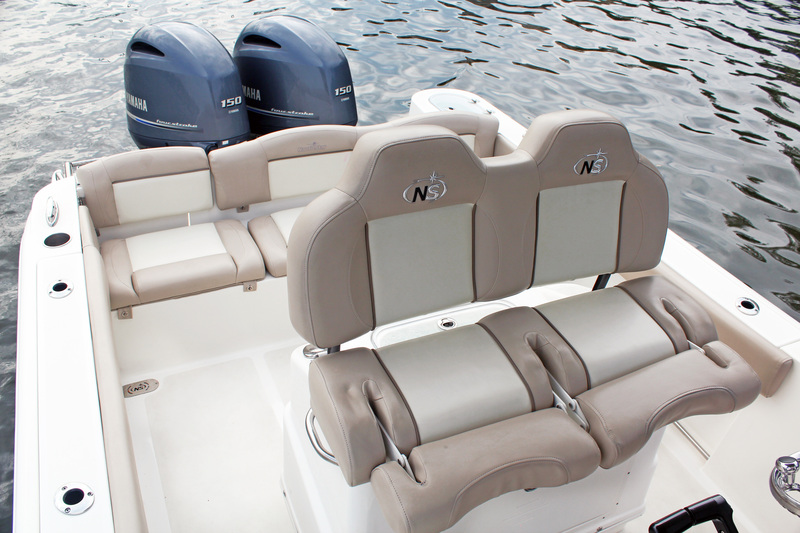 The leaning post is the epitome of efficiency with beautifully styled, ergonomically correct seating with flip-up bolsters; large, 21 gallon baitwell; switch panel and conveniently located freshwater washdown.